..... Click the link for more information. slits on the underside. Many rays are bottom dwellers, lying like rugs on the seafloor; others inhabit the upper waters. Bottom-dwelling rays breathe by taking in water through the spiracles, rather than through the mouth as most fishes do, and passing it out through the gills. Rays feed on a variety of smaller animals; the heavy, rounded teeth of most species are adapted to crushing the shells of snails and clams. 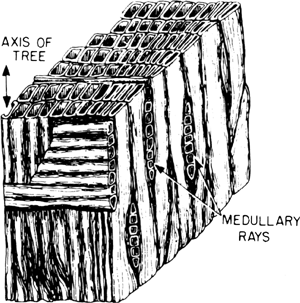 The rays, which form the order Batoidea, are divided into seven families. The largest are the mantas, also called devil rays and devilfish (family Mobulidae). Living in the open ocean, the mantas may weigh up to 3,000 lb (1360 kg), with a width of up to 22 ft (7 m). Unlike most rays, mantas are filter-feeders; the manta uses a pair of horns at the front of the head to drive small prey into its mouth; there the prey is caught in a strainer and swallowed, the water passing out through the manta's gills. Electric rays, or torpedos (family Torpedinidae), have electric organs in their wings that generate electric current, used to immobilize prey and for defense. The current is strong enough to stun humans, and it is said that the ancient Greeks used these fish for shock therapy. Skates (family Rajidae), which are sometimes caught for food, are bottom dwellers; some species have electric organs in their tails. The stingrays, or whiprays (family Dasyatidae), have rows of spines along their tails, which are generally much longer than their bodies. The stingray inflicts wounds by lashing with its tail; the spines contain a poison that causes pain and can be fatal to humans. Most of the eagle rays and bat rays (family Mylobatidae) bear a single poison spine on the tail. The guitarfishes (family Rhinobatidae) are sharklike in form, having well-developed tails used for swimming and smaller pectoral fins than most rays; however, the fins are attached, as in all rays, above the gills, giving these fishes a broad-headed appearance. Sawfishes (family Pristidae) are similar in body form, but have long, flat snouts with a row of toothlike projections on either side. Some species reach a total length of 20 ft (6 m), with snouts 6 ft (1.8 m) long and 1 ft (30 cm) wide. They use these ponderous weapons to slash and impale small fishes and to probe in the mud for burrowing animals. Sawfishes, which are endangered globally, should not be confused with saw sharks, which are true sharks. Fertilization is internal in rays. Most bear live young, but the skates lay flattened, rectangular eggs, enclosed in leathery shells, with tendrils at the corners for anchorage. Empty egg cases of this type are found on beaches and are known as mermaids' purses. Most ray families have a more or less cosmopolitan distribution in tropical and subtropical marine waters; some include temperate or cold-water species. Some rays can live in brackish bays and estuaries, and the sawfish enters freshwater rivers and lakes. ..... Click the link for more information. , subphylum Vertebrata, class Chondrichthyes, subclass Elasmobranchii, order Batoidea. One of the broad streaks that radiate from some craters on the moon, especially Copernicus and Tycho; they consist of material of high reflectivity and are seen from earth best at full moon. A straight-line segment emanating from a point. Also known as half line. A curve whose tangent at any point lies in the direction of propagation of a light wave. A moving particle or photon of ionizing radiation. Any of about 350 species of the elasmobranch order Batoidea having flattened bodies with large pectoral fins attached to the side of the head, ventral gill slits, and long, spikelike tails. In a cross section of a tree or log, one of the ribbons of tissue extending radially from the pith; may vary from microscopic to 4 in. (10 cm) or more in oak; used to store and transport food horizontally within the tree.